How to become an affiliated operator? 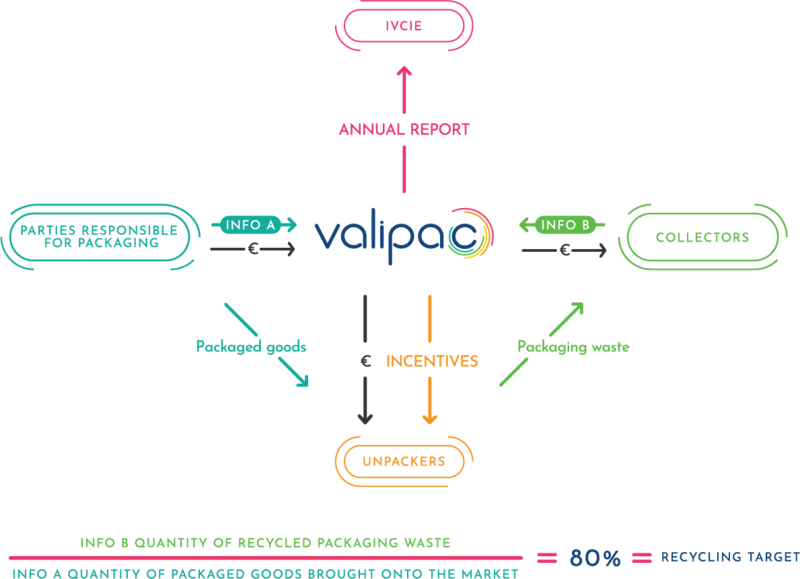 How do Valipac and its affiliates work together? The goal of the European Directive 94/62/EC (modified by Directive 2004/12/EC) is to harmonise national legislation on the prevention and management of packaging waste, both household and industrial. It defines a number of concepts and fixes minimum rates for recycling and recovery. This Directive has been transposed into the legislation of all European Union Member States. In Belgium, this Directive was implemented by the Interregional Cooperation Agreement. It covers the prevention and management of every type of packaging generated within Belgium. It came into force for household packaging in 1997 and for industrial packaging in 1998. The legal obligations imposed by this European legislation are today better known under the title Extended Producer Responsibility (EPR). What is the Extended Producer Responsability? Businesses that generate packaging waste (household and industrial) within Belgium by marketing or by importing packaged goods are subject to the Extended Producer Responsability. you import goods and unpack them in your business. What are your legal obligations? Your business must recycle a minimum of 80% of the relevant packaging every year, and this recycling must reach 85% of the overall recovery rate. Contrary to what its name might suggest, this obligation does not actually require you to take back your packaging. Furthermore, if your business brings less than 300kg of household packaging and industrial packaging per year onto the Belgian market, the recovery obligation does not apply to you. Your business is required to report to the Interregional Packaging Commission (IVCIE) on the packaging types and their recycling rates. Basically, you must provide proof that you are reaching the legally imposed objectives. it packs (or organises the packaging of) goods to be marketed in Belgium with a minimum of 100 tonnes of packaging. The prevention plan must be submitted every three years to the Interregional Packaging Commission (IVCIE). This document describes the measures put in place by your business for reducing the quantity and toxicity of its packaging and fixes the objectives to be reached. the questions are relevant only to your situation for the current year. we report the aggregated data to the Interregional Packaging Commission (IRPC). Valipac is the management agency for industrial packaging. For household packaging, you must apply to Fost Plus, which is the competent agency in this field. Businesses that bring BOTH household AND industrial to market must therefore become clients of both agencies. How can Valipac help you? Being a client of Valipac means that you can be absolutely sure that you are conforming with industrial packaging legislation. More than 7,200 businesses place their confidence in us today for fulfilling their legal recovery and reporting obligations. In return for this peace of mind, you send in to us, once a year before 28 February, a declaration of the packaging for which you are responsible. Go to our Declaration Guide in our Documentation Centre to find out more on this. €750 per tonne of packaging waste for which you have not supplied any proof of recycling. Criminal fines may also be levied. every year you have to send this evidence to the Interregional Packaging Commission, following a well-defined procedure. To learn more about this, contact the Interregional Packaging Commission. How much do Valipac services cost? 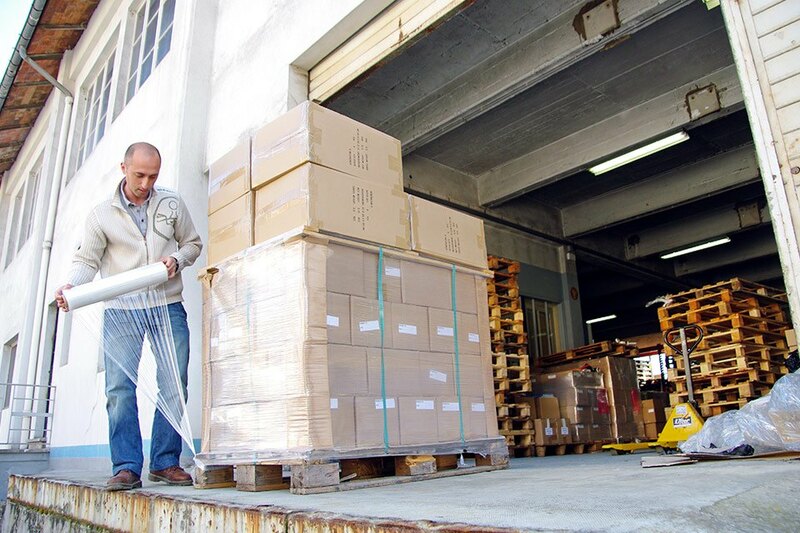 The amount invoiced to you by Valipac will depend on the tonnage and type of the packaging that you produce. Our business model guarantees rates that are unaffected by fluctuations in the materials market. The minimum amount of the financing contribution is set at €50. The industrial packaging legislation came into force in 1998. 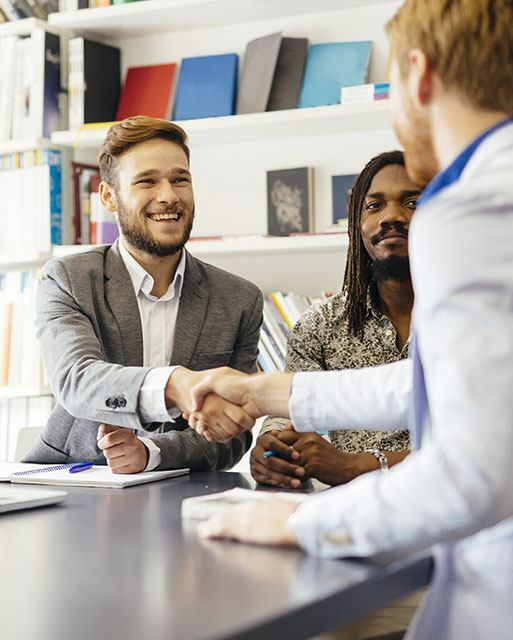 If your business came under the scope of this legislation five years ago or earlier, the authorities require Valipac to invoice a retroactive membership cost for the five calendar years prior to the year of joining. The default amount for this retroactive membership cost is €250 (€50 per year for five years). Like over 7,200 other Belgian businesses, put your confidence in Valipac and delegate your obligations for recovery and data reporting. in return you will receive your Valipac contract signed by us with your client number and your invoice.